To continue the theme of our last few posts, we’ll continue exploring different diets. Previously in our last few posts, we discussed The Mediterranean Diet, Three Diets You’ve Probably Never Heard Of, and Meal Plans For Changing Your Diet After Surgery. Luckily, there is no shortage of diets in our society, so if you didn’t find one for your there are always more to try. The diets discussed in this post are geared specifically toward losing weight, weight control, and are also helpful even after you’ve had bariatric surgery. Weight Zen is a facility for bariatric surgery and weight loss surgery located in New York; if you have any questions, please, don’t hesitate to reach out. After going through weight loss surgery, your bariatric surgeon gave you a list of do’s and don’ts, but what about for the rest of your life? Now, that you’ve changed your life, keep it that way. Take advantage of having your weight under control, and make sure you can continue on this new path of life. Read about three great weight loss diets below. The HMR program stands for health management resources. The main goal of this diet is to keep off the weight or lose weight by reducing your caloric intake. You reduce your caloric intake by replacing what you would generally eat with more fruits and vegetables. 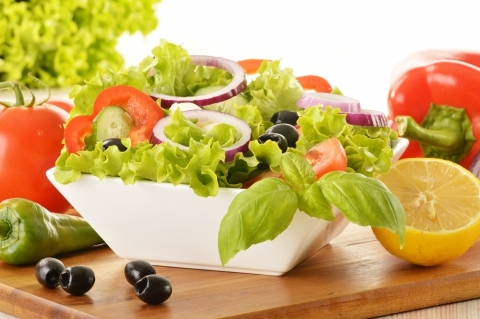 This diet encourages healthy lifestyle changes and physical activity. One of the things that you should take into consideration is that everything you put into your body and the physical activity you do is all on you; it’s personal accountability for how much weight you want to lose. The HMR program encourages meal replacement with lower calorie items. For instance, instead of pancakes and french toast for breakfast, you could try eating low-calorie shakes, nutrition bars, or oatmeal that are HMR approved. 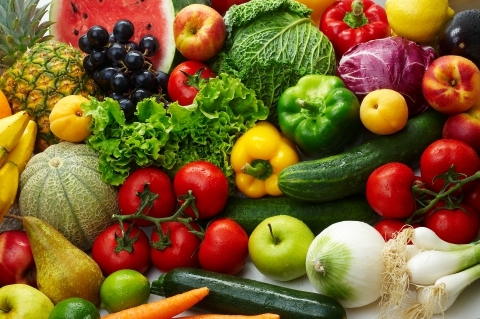 By eating healthier and adding more fruits and vegetables, your caloric intake is lower. Combining eating healthy with physical activity means you are going to be able to control and lose weight. Even the smallest physical activity will help you to achieve your weight loss goal. Similarly to the HMR program, this diet is also not as well known. The focus for this diet is specifically losing weight, unlike the HMR program that focuses on a better, healthier lifestyle. What you should know about food is that some food has less energy dense than other types of food. By directing your palette toward eating food with less energy, you’re eating less calories without actually eating less. Let’s break it down: by eating low-density food you will lose more weight. Low-density food has less calories but is higher in volume, so you don’t have that never-ending hunger while dieting. Focus your food intake on vegetables and fruits to fill you up and understand this diet is about getting more volume out of what you eat instead of eating more. The raw food diet is pretty much what it sounds like. This diet doesn’t just focus on controlling your weight, it also focuses on improving your health and making the environment better. If you want to help the world and your body, this diet is for you. Here’s a tidbit about raw food: it is filled with nutrients and natural enzymes to help your body and assist it in losing weight. This diet has been around for several hundred years, stemming from when a doctor was able to cure jaundice by eating raw apples. Raw food is not cooked, microwaved, genetically engineered, processed, irradiated, or exposed to chemicals. The food you would focus on are fruits, vegetables, nuts, seeds, and herbs all in their natural state. When you follow this diet, you are able to cut down on half of your caloric intake, in comparison to when you follow a cooked diet. However, it’s important to note that this diet is not usually rich in the all-important protein! If you are looking to get weight loss surgery or want to talk to a bariatric surgeon, contact us today. Physical activity is a critical part of everyone’s weight maintenance – regardless of undergoing bariatric surgery or not. Not only does physical activity burn calories (a huge benefit! ), it’s also great for cardiovascular health, improving mood, and helping with sleep issues. 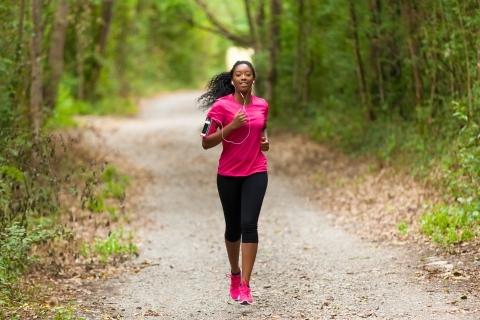 Physical activity also combats weight gain after gastric sleeve surgery and constipation after gastric sleeve surgery. While it’s important to get as much physical activity as you are able, you should not rush into it. Your doctor will clear you for exercise after surgery when you are ready. This time can vary from patient to patient and for that reason, it’s important for you to work with your medical team to create an individualized plan. We’d love to hear from you! What are you favorite ways to exercise? Just because you want to lose some pounds, doesn’t mean should have to lose your dollars. From the Bronx to Brooklyn, we’ve gone the distance for you and have found free and friendly spaces to exercise. Tag – you’re it! Now it’s your turn to try before you buy. Having Bariatric Surgery prepares you to be the star of your own stage. If this is your debut performance in group fitness, don’t worry. Every great artist has to start somewhere and all the classes we’ve recommended are genuinely beginner-friendly. Shape Up classes are in all five boroughs. High five to free group fitness across the five boroughs! Add a bit of color to your routine with Shape Up NYC and their rainbow assortment of classes taught by expert instructors across aerobics, yoga, pilates and Zumba. You don’t even need to be a member of the NYC Parks’ recreation center you attend – just bring a lock to store your belongings! Check out the Shape Up NYC schedule. Sign up to The Rise e-newsletter to find out about the different locations. All they want you to do is “get out of bed and be awesome” – and that’s exactly what The Rise is about! The workouts on Mondays, Wednesdays and Fridays at 6:30am welcome beginners into the group like a loved one into a family. Their unconditional love has earned them bragging rights to become what they believe is the most supportive, energetic and encouraging workout group in NYC – inspiring people of all ages, sizes and fitness levels to get active. 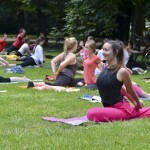 One of many free exercise events found on Meetup. Fun and free dancing should not be limited to the sofa and “Dancing with the Stars”. Check out this Flatiron dance crew’s free summer offering on Facebook. You may even find some other free fitness gems! Will you choose Union Square or the Hudson? OM – it’s free weekly yoga! The Om Factory takes over Union Square every Thursday from 7pm on the North Plaza while Bryant Park Yoga presented by Athleta takes place every Thursday at 6pm. The instructors will guide you through a series of poses synchronized with breathing to keep the body warm and move into deeper postures. With the instructors’ dialogue incorporating alternative poses and sequences to suit all levels, this is a great way to ease your body into exercise if you’ve previously experienced joint or muscle pain when working out. Find out more about Om Factory at Union Square and Bryant Park Yoga presented by Athleta. A full fusion of exercise styles are on offer. With workouts inspired by Pilates and dance, Lolë New York brings together a fusion of techniques to create inspiring and challenging experiences every Tuesday on Pier 25, North Moore St. These popular classes fill up quick so head over to the Lolë New York Facebook page to find out more and RSVP. On Wednesdays, Yogamaya invites you to flow, sweat, chant and breathe – connecting the energy you have with your peers in Chelsea through to the world. Only 75 spots are available each week so visit the Yogamaya website to RSVP for a calming class to connect mind, body and spirit. Join the South Bronx Yoga team at the Target Bronx Community Garden for an outdoor workout and relaxation exercise – fit for the whole family. Make soothing Saturdays a habit for you and your loved ones. Even the mats are provided! 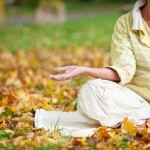 Find out more about the free yoga classes. Go out and play! If you can’t seem to muster the energy to work out this time of year, try “playing” instead. You can burn quite a few calories playing indoors or out. The best part about playing is that it doesn’t feel like working out—though you can still get your heart rate up and have an excellent cardiosession. Have a blast in the winter wonderland outside by making snow angels (214 calories burned per hour on average), having a snowball fight (319 calories burned per hour), or even building a snowman (285 calories burned per hour). No snow in your area? Try ice skating—an activity you can do indoors or outdoors. Ice skating can burn more than 450 calories per hour—and it’s a blast! Get creative at home. Sure, getting to the gym can be more of a hassle when it is cold outside, but never use snowy weather as an excuse to miss your daily exercise. Instead, work out at home, where’s it’s cozy and warm. Whether you pop in a new workout DVD, invest in a few pieces of fitness equipmentor even just use your body weight for a killer workout, exercising at home can be a convenient (and fun!) solution to staying on track. And the best part about working out from your own home? You don’t have to worry about sharing a TV with fellow gym goers or possibly catching an illness at the gym. Home really is where the (healthy) heart is. Try something new. There’s nothing like signing up for a new class or joining an indoor sports leagueto get you up and moving during chilly months. By trying something new, you reignite your motivation for fitness, cold weather and all! 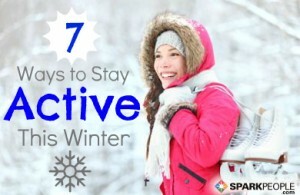 Whether it’s indoor volleyball, a dodgeball league, a bootcamp class or even tennis lessons at a local indoor racquet club, participating in a regular activity that you’ve paid for (or have teammates counting on you to play in) is a fantastic way to stay active in the winter time. You might even make some new friends or learn some new skills. Set a big goal—and some little goals. If winter weather leaves your motivation to exercise colder than an icicle, heat things up with a challenging, new goal. It can be anything from losing those last 10 pounds, to running a 5K (yes, you can still run outside in the cold) or even doing a full pull-up, butchoose a goal that you really want and that will stretch you beyond your comfort zone to reach it. Setting a smart goal that you then break down into smaller, achievable action steps is a great way to start. Instead of focusing on simply working out this winter, this type of goal-setting allows you to focus on the bigger picture—your dreams.